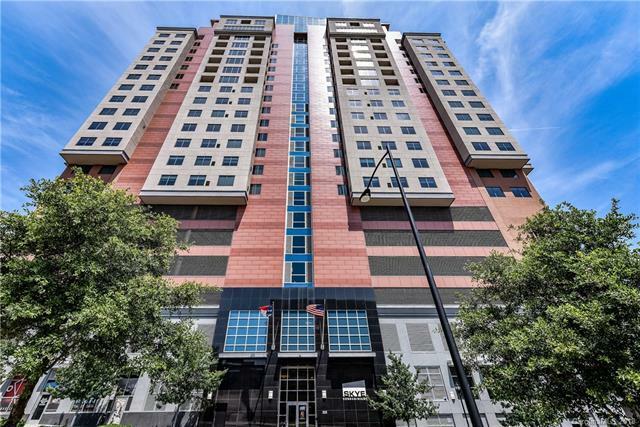 Exclusive Uptown condo on the 15th floor of Skye Condominiums. Prime location, spectacular views, endless amenities. Open concept spacious floor plan with hardwood floors, abundance of natural lighting and city views throughout. Gourmet kitchen features stainless steel appliances, granite counter tops, and tile backsplash. Generous master suite, guest suite, additional powder room in main living area, dining area, and breakfast nook area. Enjoy all the 10th floor has to offer; fitness center, game room, club room, and in-house theatre. Skye condominiums features a rooftop sun deck with pool and is home to Fahrenheit restaurant. HOA fees include basic cable, gas, water, 24-hour concierge service, pool access, exterior maintenance (outside windows and garage pavement cleaned twice a year), insurance for exterior of building, pool maintenance, club area maintenance, gym equipment maintenance, M F trash pick-up. Offered by Dreamline Realty Llc. Copyright 2019 Carolina Multiple Listing Services. All rights reserved.